It’s a good time to be a Caper. Break out the fiddles and the bagpipes—the Cape Breton Capers are the 2013 AUS men’s basketball champions. 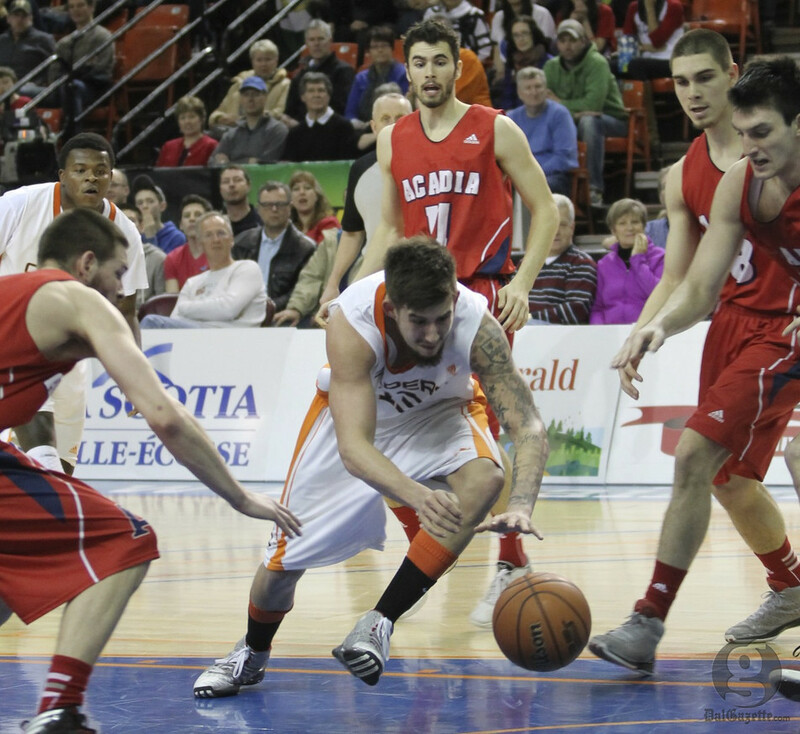 The top-seeded Capers knocked off the second-ranked Acadia Axemen 83-75 Mar. 3 to cap a wild weekend of basketball at the Halifax Metro Centre. All season it seemed like both teams were on a collision course for the championship game. After each squad earned first-round byes, the Capers (19-1) and the Axemen (15-5) dispatched St. Francis Xavier and Saint Mary’s, respectively, in the semifinals to set the stage for an epic final. Both sides did not disappoint, as the large crowd was treated to a thriller. With the score tied at 66 and five minutes left in the fourth quarter, Kayon Mayers, Sean McCormick and back-to-back conference MVP Jimmy Dorsey took over to bring the championship trophy back to Sydney. For rookie head coach Skinn, the victory is all about redemption. The win gives Cape Breton its fourth AUS men’s basketball championship and its second in the last four years. Acadia’s loss prevents a repeat from the defending champs. The Axemen have played in three consecutive league finals, only winning in 2012. Cape Breton forward Meshack Lufile could not contain his excitement as he watched his teammates cut the net in celebration. Dorsey was absolutely unstoppable, evidenced by his game-high 30 points for the Capers, 21 of which came in the second half. The graduating point guard was also a perfect 16-for-16 on free throws. AUS defensive player of the year Owen Klassen scored 24 points to go along with eight rebounds for the Axemen. The focus now shifts to the CIS national championships, which begin Mar. 8, hosted by Carleton University in Ottawa. Despite the AUS championship loss, Acadia’s strong regular season record earned them a wild card berth to the CIS Final 8 tournament. CBU has the second seed and Acadia is ranked fifth. The Axemen will face Canada West champion and fourth ranked UBC Thunderbirds in the first round, while the Capers take on seventh-seeded Lakehead Thunderwolves. The question of whether anyone can knock off the powerhouse Carleton Ravens—winners of nine of the last 10 CIS championships—is on everyone’s minds. According to Lufile, if anyone will dethrone the perennial champs, it’s the Capers.